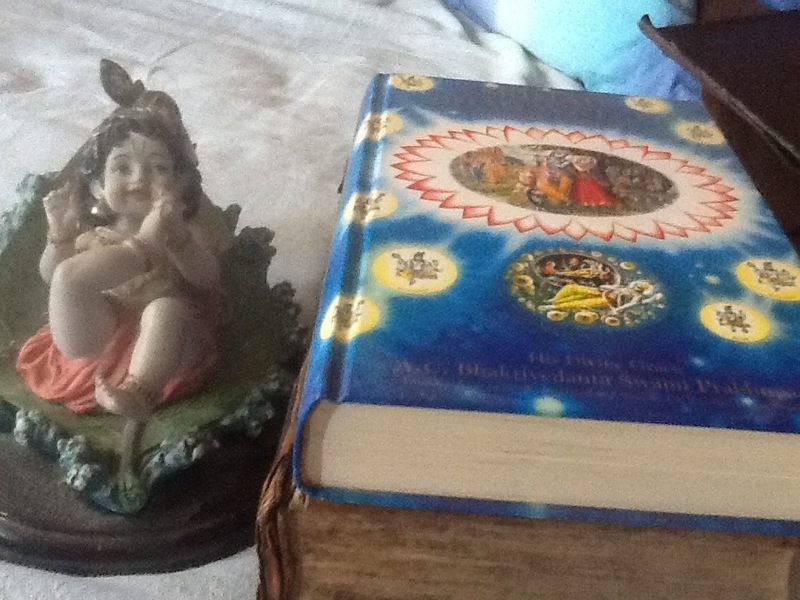 when i write of God (which is fairly often), i think of Krishna. it’s difficult to find words that express the unknowable, the unprovable. i’m not saying He exists, rather that i’m sure he does exist. how can we give a name to the unknowable and unprovable? that which is beyond our senses and yet can be sensed by some? one day i was annoyed by God and his law of nature (the nature of this planet) so i told him (i’ve told this story in it’s longer version a few months ago), promised to read his book properly if only he would stop the wind. The gale force wind stopped. so i bought an old bible and read it. afterwoulds i told Him that i disagreed with it and that i had held my barter with him. not long after i was introduced to Bhakti, which means Love and i was hooked, finally something that has an answer for everything, even if it’s a little difficult to comprehend with these material five senses. i truly believe that these things happened due to my bargaining with God on that windy day. i’ve always believed there is a God, i jus had to find him. i’ve never believed in the devil. nor that Jesus was the Son Of God. he may have been an avatar in much the same way as Buddha was. everything that is not part of God is temporary, even the gods who, in the Christian tradition, may be thought of as angels i guess. Brahma may be likened to the Norn who spins the thread of life and for a while there was no Brahma. there was no soul great enough to become the new Brahma and so Krishna himself out of love became Brahma for a while. i don’t believe that God in his infinite Truth Knowledge & Bliss would consign his souls to damnation. i’m being harrased by household and parenting duties, may continue this later. 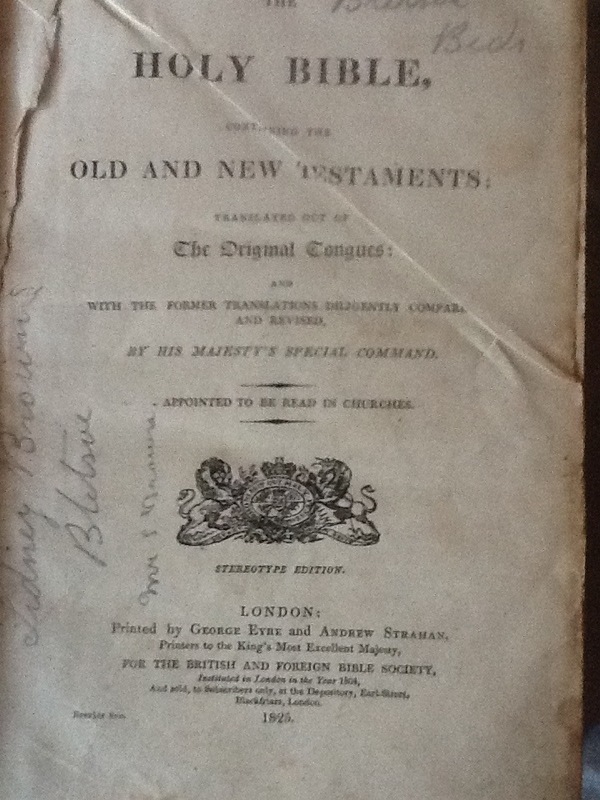 King James Bible, printed and bound in Bond St, London 1825 and possibly owned by a distant relative of mine. why else does a possible deity look like us? besides the Christian reason? five thousand years or so of civilisation. of lessons. of the fact that people may not listen to people but may listen to “the words” of God.